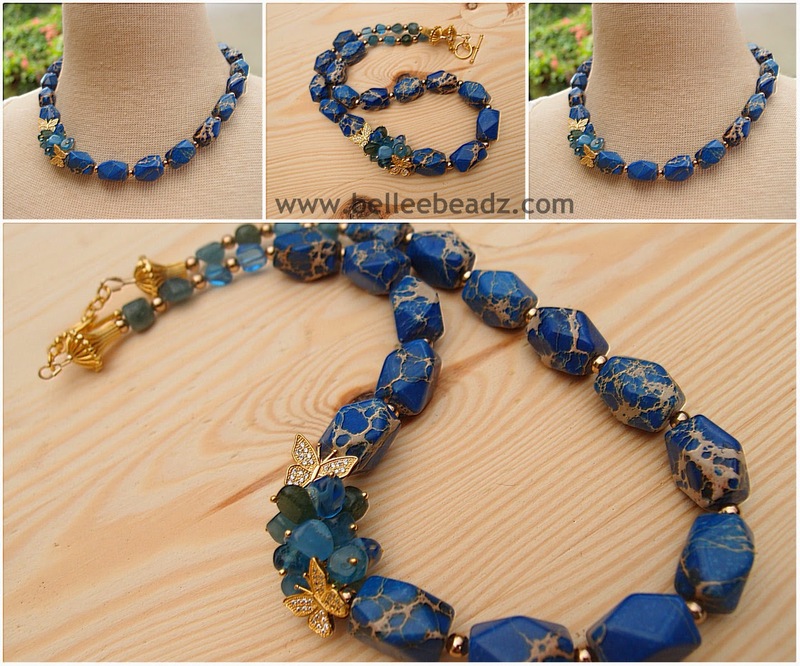 Gorgeous faceted blue sea sediment jasper nuggets make up this stunning necklace. A cluster of blue onyx, tanzanite and apatite little nuggets are embraced by 2 crystal studded butterflies. So much better looking in reality.